The PARA-X-OTF knife from Paragon is the next generation of the ATKO 10. This Asheville Steel knife is a single action out-the-front knife, just push the button and the blade fires out the front of the handle. To close the blade just press the button in and use the retracing lever to pull the blade back in. The PARA-XD has a sliding safety under the firing button and a black pocket clip for easy tip-down carry. Made in the USA & new in box. 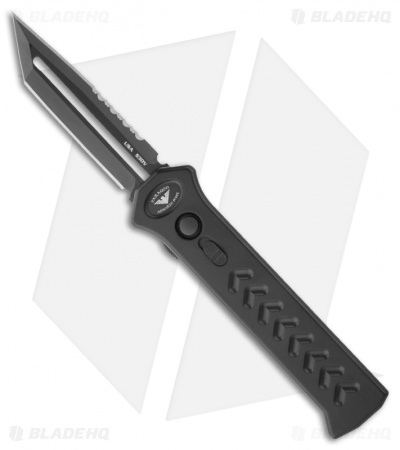 The PARA-XD is the Extreme Duty version of the PARA-X. This out the front knife features a sturdy 6061-T6 aluminum handle that is hardcoat anodized. 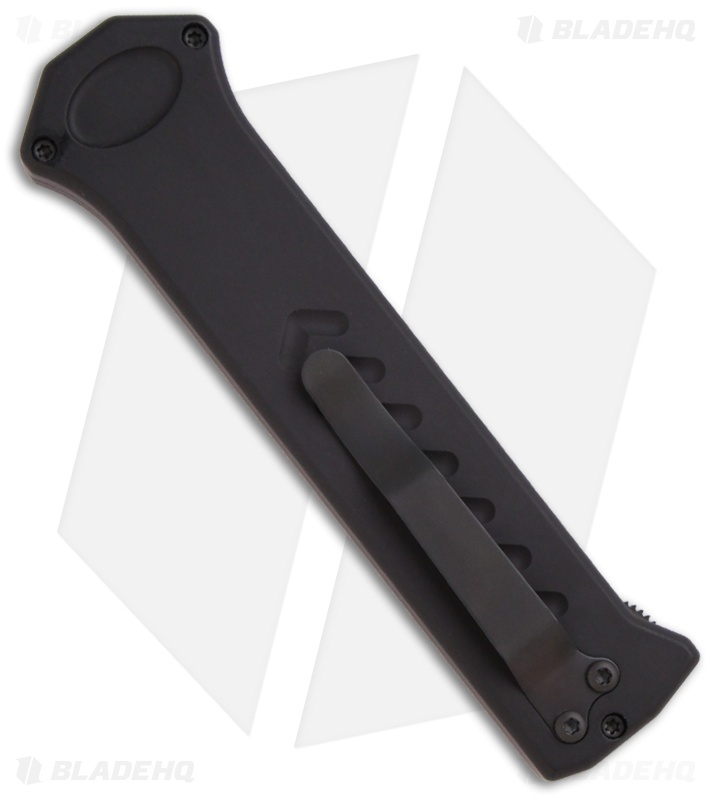 The DLC black finished S30V stainless steel blade features a striking tanto point design with a part serrated top edge.